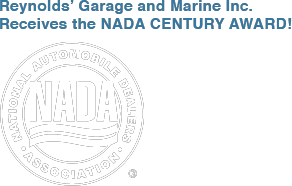 The National Automobile Dealers Association (NADA) recently awarded Reynolds’ Garage and Marine the prestigious Century Award for 100+years of superior service to the community. Reynolds’ Garage and Marine’s hard work and commitment to excellence in the auto industry and providing continuous high-quality service since 1859 certainly sets a standard for good business. 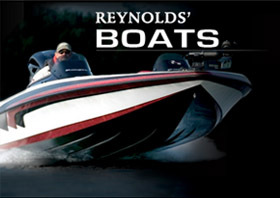 Dealers play a vital role in the community they serve and Reynolds is no exception. 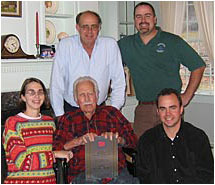 Family owned and operated for 6 generations, Reynolds is hoping to achieve the same award in another century. Thank you for your patronage. Here’s a letter we received recently from Mary Alapa, who retired from our sales department last May after nine years of service. It is always nice to read great American accomplishments, through family traditions. Hurray. Some 26 years ago I bought from you a brand new 1984 Peugeot. It was faithfully serviced for seven years by your crews. I remember while waiting for the car, my daughter made friends with your adopted cat. Remember: Well, the picture will help you in case you do not. My husband and I look forward to see you the 4 th of July, a perfect day to celebrate a true American story - 150 years of business. Yeah! Congratulations to the Reynolds’ Family. Sincerely Meant, Josie and Felix Z. This is my 5th Subaru. That should speak for itself. Reynolds Garage is about the only place I would buy another. I enjoy doing business at Reynolds Subaru Lyme CT. A small, personal dealership. I know the people I’m dealing with, became acquainted and trust. Good people selling and servicing a great product. Reynolds is excellent and that is why I purchased a Subaru. Reynolds Garage and Marine has been my dealership for 16 yrs. I travel 45 minutes to have my car serviced. I would not consider going anywhere else. This being my third new Subaru since 1983, it’s likely I’ll purchase another. This is also my third dealership, and most likely my last. Reynolds is great. Location too far for my age. I go because I like the service group and sale person. I have enjoyed the Subaru’s I have owned. The dealerships make all the difference and Reynold’s is the best! Woman salesperson, Service Mgr. knows my name and doesn’t talk down to women! This is my third Subaru each from Reynolds, I would have nothing but Subarus and would return to Reynolds. 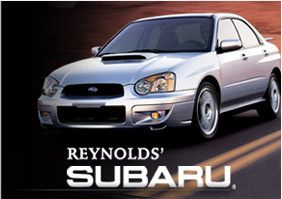 I purchase a Subaru because I buy them at Reynolds and Reynolds is excellent. If they sold some other car I could purchase it because of Reynolds. Subaru & Reynolds are great. Distance is a problem. This is my fifth Subaru purchased from the same dealer and I will continue to do so. Very satisfied with Reynold’s for both services and sales. Primary reason for returning to this dealership is satisfaction with service dept., particularly Marty, sales reps, friendly! Reynolds is overall the best dealership/repair garage I have dealt with in the 44 years I have owned cars. Most experience with Saab. Bought Subaru to tow behind motor home. One of the most beautiful walks is across the street from my dealer (walk while waiting for maintenance). WRX heads failed at 70,000 mi. Big disappointment. Reynolds Subaru dealership: fantastic, wonderful, excellent, etc. customer service. Subaru Car Co. stood behind their product. Problem fixed! Will buy Subaru again. Reynolds -- Lyme CT. This is a very good dealership. They do a very , very good job. Keep up the good work. Keep prices down. This would help a lot. All around excellent service. Thank You. For some reason the check engine light comes on frequently with an air assist injection malfunction. (P0065) Dealership has been very good about tracking this. My dealership is one I would highly recommend to anyone. Reynolds Subaru is the absolute best. My Subaru, to date, has served me well, and as a creature of habit and a response to being served well by Subaru. I will most likely continue to purchase from this company. I go to Reynolds Subaru in Lyme, CT. Mary Alapa is the sales rep. Great. I bought so far, 3 cars from her and 2 of kids bought as well. We love her! Reynold’s Subaru is in another state, but I continue to use them faithfully because I feel I can trust the service. Reynolds Subaru is the best car dealer that I have dealt with. Other dealers have been Volvo, Toyota, and Lexus. We love our dealership and the car is perfect for our current needs. Charles M. Reynold’s garage is the best dealership I have ever met in over 40 years of driving. Reynolds is an EXCELLENT dealership. Even though it is 25 miles from my home, I prefer to deal with them rather than Holmgren Subaru, which is less than 5 miles away. Holmgren does not give Subaru a good name. Reynolds in Lyme Ct. is a very fine Subaru dealership wouldn’t go anywhere else. I just had my 2003 Subaru Outback in for its 120,000 mile tune up and I have to write in and thank you. I was able to drop it off I get the loaner and get back to work. And best of all - the car runs great now. Much better - like new. Thank you. Great people to work with. © Reynolds' Garage and Marine - Looking for a Connecticut Subaru dealer? 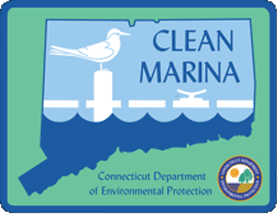 Eastern Connecticut's premier dealership and factory authorized full-service facility for Subaru, Yamaha Outboard Motors, Mercury Marine, Ranger Boats, G3 Boats, Skeeter Boats, Cobia Boats, Pathfinder Boats, Hewes Light Tackle Boats and Edgewater Power Boats.